Majority of the industries today like manufacturing and IT services are heavily dependent on reliable electricity. 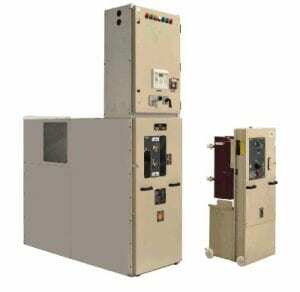 Switchgear devices are indispensable to that effect. Nevertheless, no systems are 100% efficient and organizations have to face outages due to events like failure of Switchgear or their inefficacy to estimate the gravity of faults. Sometimes the magnitude of a fault in an electrical system is such that the protective devices are unable to detect and/or withstand them. The reason for this maybe the complexity or expansive nature of the electrical system. Predictive maintenance of electrical installations can be the ultimate savior in this scenario. 1. Partial Discharge Monitoring: This is done to detect an insulation failure in the electrical system. Early detection of failure in insulation of wires and other components can help in averting serious accidents that not only result in outages, but may also result in damage to man and infrastructure. Analysis of internal and surface partial discharge, along with analysis of humidity conditions is employed for detection. 2. Power System Assessments: This involves in-depth study of the electrical system parameters like instantaneous and peak current, voltage, phase angles, active and reactive powers at peak and average loads to measure the performance of circuit breakers and contactors. This is done basically to evaluate the life of circuit breakers and estimate any likely failures. 3. Circuit Monitors: These can be used by facility managers to observe and monitors various parameters in real time in the form of waveforms. Various techniques like wave shape analysis, disturbance recording, transient analysis etc may be employed to diagnose potential problems to minimize downtime. 4. Infrared Thermography Inspections: This is done to ensure optimum temperature levels and detect any abnormal temperatures on the surface of various components like busbars, panels etc. This is done by personnel who are trained to operate an infra- red camera. In case thermal imaging is not employed, spot radiometer (infrared thermometer) maybe used that does not represent the thermal profile of the equipment but is representative of its temperature. 5. Intelligent Protective Devices: Some devices like electronic trip units can analyze health of tripping devices like circuit breakers. These can operate in customized system conditions as programmed and can help in maintaining the life of circuit breaker.